Asian Handicap 0,25: Asian Quarter Bet is an exciting way to bet on football, in which the stronger team is given a handicap. Asian Handicap 0,25 has been used for a long time in Asia but it has only recently become popular in Europe. Its use among punters has been growing rapidly. This is due in part to the numerous ways in which you can better manage your risk while betting on any game. The Asian Quarter Bet is another name for the Asian Handicap 0,25. It basically eliminates the draw from the possible results that you can get in any football match. While the Asian Quarter Bet is used a lot with football, you can use it to gain an advantage in other sports too, such as rugby or tennis. What Is Asian Handicap 0.25? 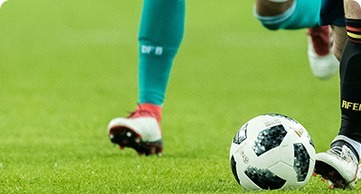 Asian Handicap 0,25 is a sports betting technique which eliminates the draw from the set of possible outcomes that are typically found in a football match. With traditional 1 x 2 betting, punters would have three outcomes to bet on. Those are win, lose or draw. With The Asian Handicap 0,25, bettors only have two outcomes to place their wager on, that is, win or lose. Reducing the number of outcomes helps to make the game more exciting. In addition to that, an advantage of 0.25 or a quarter goal is given to the weaker team at the beginning of the game. A handicap of -0.25 is given to the stronger team. This helps to remove any disparity between the teams in terms of ability. Giving an early lead to the weaker team helps to even the odds. It creates more possibilities for betting as well. One goal can completely change things in your favour. Asian Handicap 0,25 virtually removes the draw from the outcomes which are possible in a game. This leaves you with the only likely results being win or lose. The stronger team is given a handicap of -0,25 at the start of the game. This handicap is added to their final score. For example, in a match involving Manchester United and Liverpool, if you regarded Manchester United as the stronger team, you would give them a handicap of -0.25. This would be added to their final score. So, if they got 1 goal in the match, after adding the handicap, their total would be 0.75. If you bet on Man United to win, they would have to overcome their handicap. Liverpool would be advanced with 1/4 goal at the start of the match. Suppose you bet $300 on Man United with odds of 2.00. If they win, you would win $300 X 2.00 = $600. Your profit would be $600-$300=$300. If the match draws, the bet result would be “Half Lose”. In this case, you would lose half of your stake. That means, you would get back $150. From this example, you can see that using Asian Handicap 0,25 helps you to manage your risk. Asian Handicap 0,25 is a favourite among punters because it has a positive impact on the betting odds. If you like to bet on football, you should consider adding it to your overall strategy. It will reduce your risk of losing your wager. Since the draw is removed as a possible outcome, the probability of you winning your wager increases from 33% to 50%. In traditional 1 x 2 sports betting, since the draw is usually considered as a possible outcome, you have a lower chance of winning. There would be three possible outcomes so your wager would have a chance of 1 in 3 of being realized. Suppose you bet on the stronger team to win in a match. Asian Handicap 0,25 reduces the chance that you will lose your stake, in cases where you feel that there is a chance that the stronger team may actually bounce back and get a draw in the game. If the game draws, you will get back half of your wager. From this, you can see that consistently using this technique reduces risk for you. If your teams wins, you make a profit. If they draw, you still get back half your stake. This makes things better for you because your bet is essentially split in two. Even if your team does not win, you still have a chance to get back half of your stake if the match draws. You should always keep that in mind and place your bet accordingly to minimise your risk. If you have never bet on a football match before using Asian Handicap, Asian Handicap 0,25 is a good way to be introduced to it because it is safe. It increases the profit that you can potentially make without increasing your risk. In fact, your risk of losing your money is decreased when compared to traditional 1 x 2 betting. If you wager on the favourite to win, the handicap increases the odds. If you are experienced with using accumulation bets, adding the Asian Handicap 0,25 makes it possible for you to increase your profits. While this strategy if popular with football, you can also use it to make money with other sports, like rugby or hockey.